Australia Day we added a couple of days leave creating a long weekend and headed up to the Blue Mountains. Being strictly gluten free I did some research before I left and came up with an impressive list of options. Unfortunately the definition of gluten free varied widely. So here are some tips for aspiring cafes and restaurants. 1. Having gluten free bread available is nice but it doesn’t make for gluten free options . 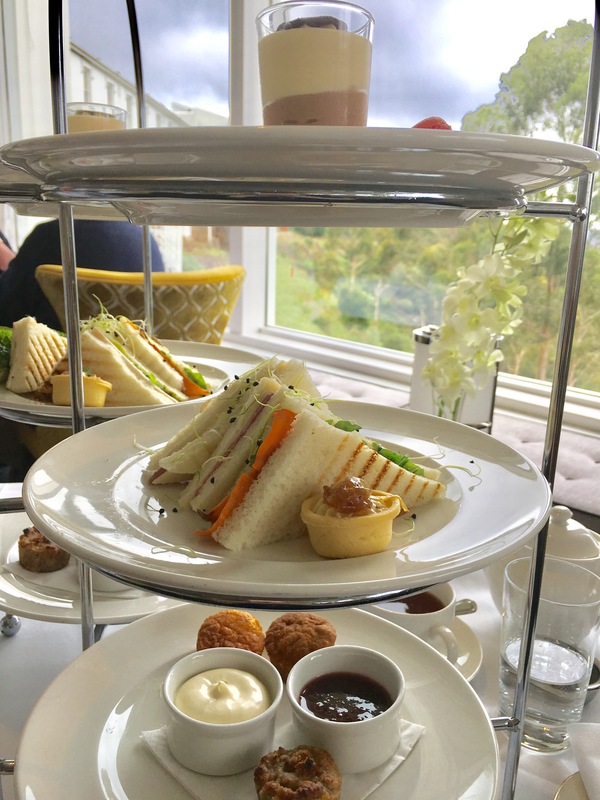 We particularly enjoyed the gluten free high tea at the Hydro Majestic because we got to enjoy lots of delicious options which were all gluten free. They even toasted the bread which is essential when you are dealing with gluten free bread. A particular highlight was a raspberry macaroon served with fresh raspberries. Just wish they could sort out the gluten free scones – there are some great options around and they are an essential part of a high tea. Also just remember if you do provide gluten free bread then be careful about cross contamination with food handling. 2. Provide real gluten free options. At Anonymous Cafe at Blackheath the gluten free breakfast options included gluten free toast, spiced pumpkin loaf and a gluten free muesli. The spiced pumpkin loaf was served with marscopone and jam and was a delicious option. 3. Remember people who are gluten free often have multiple intolerances including dairy and egg so ideally include options which don’t double down on the intolerances. Great breakfast options could include adding a vegetable hash with optional inclusions such as salmon, egg or bacon. 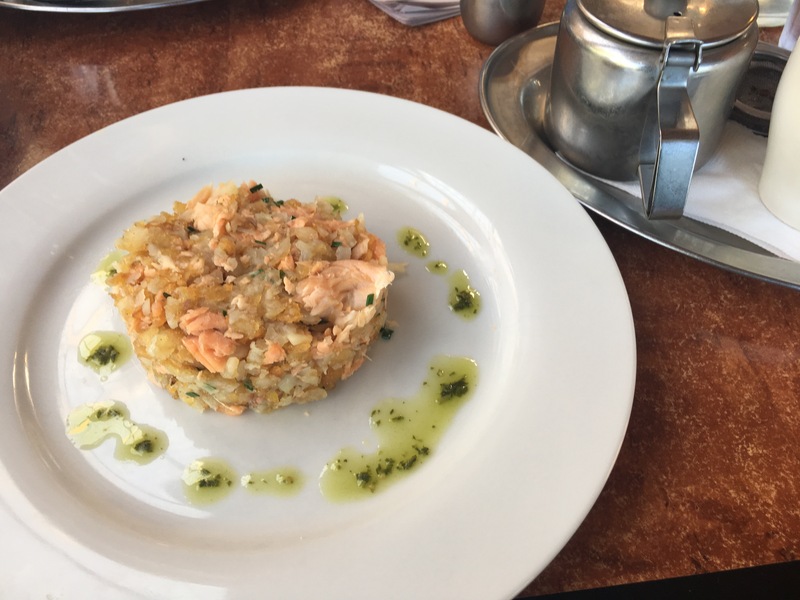 The Conservation Hut at Wentworth Falls offered a smoked trout hash with a poached egg and was happy to leave it off when requested. 4. Educate your staff about your menu’s. At one restaurant which will not be named I was asked by one waitress whether potatoes were gluten free? She then advised that only two of the main courses were options but subsequently a different staff member then told me that everything could be made gluten free. This was a bit misleading as it turned out they removed the portion of the meal that required gluten. For dessert it was actually the crumble part of the peach and apple crumble and it would have been nice to know that half the dessert would not be included. Its so easy to make gluten free crumble mix – any mix of almond meal, brown sugar, quinoa or rice flakes would work well. By contrast we also enjoyed dinner at Vesta‘s in Blackhealth where the waitress not only could tell you what was possible in terms of gluten free but provided options such as flaxseed crisp to enjoy with the pate on the charcuterie board. The small board made a good sized entree between two people and included a pate and a terrine as well as some meats and excellent pickled vegetables. 5. Mark the menu with the gluten free and other options, such as vegetarian. This means when you search menu’s its easy to see if there are real gluten free options and quickly identify what they are. The Ori Cafe at Springwood and Papadino’s at Katoomba both have well marked menu’s with a good range of options. The night we ate at Papadino’s the specials board even included a gluten free gnocchi. It was served with a Napolitana sauce which was quite garlicky but also delicious. Christine Pope is a Nutritionist and Homeopath who practices at Elemental Health at St Ives. If you need help managing food intolerances or just some good restaurant recommendations you can make an appointment on 8084 0081 or book online .